Announcements – Four additional countries connected to the EU Hub! home: Announcements – Four additional countries connected to the EU Hub! It is with great pleasure that EMVO announces the connection of the Slovenian, Irish, Swedish and Danish NMVOs in the European Hub in the Productive Environment. This constitutes a great milestone and an important step in our common project towards the FMD implementation. EMVO is honored to share with you the official announcements from Slovenia, Ireland, Sweden and Denmark. Please find the official announcements from those NMVOs in the National Medicines Verification Organisation Section in our Knowledge DB. 2018/04/06 | Slovenian NMVS connected to the EU Hub! 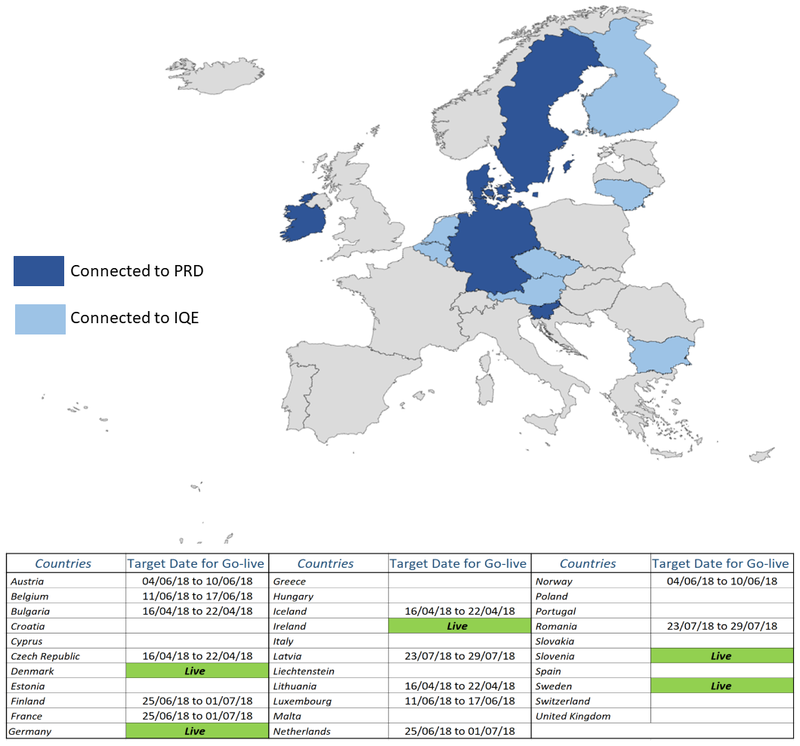 2018/04/10 | Irish NMVS connected to the EU Hub! 2018/04/10 | Swedish NMVS connected to the EU Hub! 2018/04/11 | Danish NMVS connected to the EU Hub!